God loves you and knows you. He created you for a purpose. You are special and have a special job to do for God. 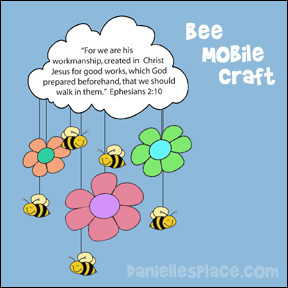 The following crafts and activities are available on the free instant download and the member's lesson. 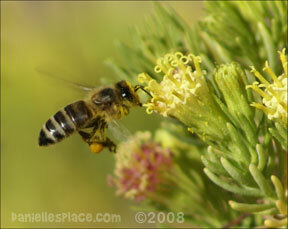 "Follow the Bee to the Flower"
Your child should practice the same worksheet for several days. 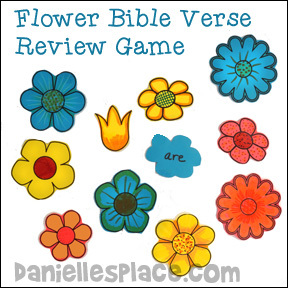 This will not only help with his writing, but will help him remember the Bible verse. 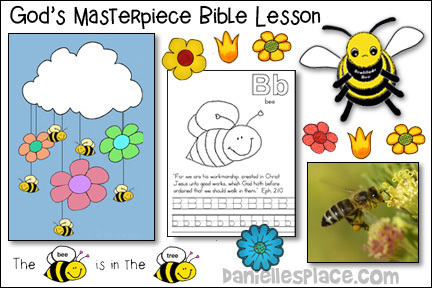 On the third or fourth day your child should draw his own picture relating to the Bible verse and then write the letter, word, or Bible verse on the bottom of the page. 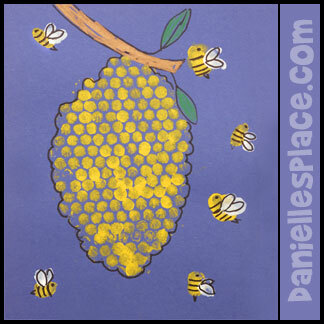 On the fifth day your child should try to write or say the letter, word, or verse from memory. 1. Tracing dotted letters, 2. Printing using arrows, 3. Cursive writing letter B, 4. Cursive writing Bible Verse, 5. Printing the whole Bible Verse, 6. Print the word "bee", and 7. Letter B Poster - Use this sheet to hang up in your room to make a whole collection of the letters with the Bible verse and related animal. Copyright 2004, Digital by Design, Inc.